This little number has been posing on the periphery for a while. The portrait of the cactus as an old man has patiently waited its turn while I’ve been getting all gooey about California’s Central and Northern coasts. No longer little guy. 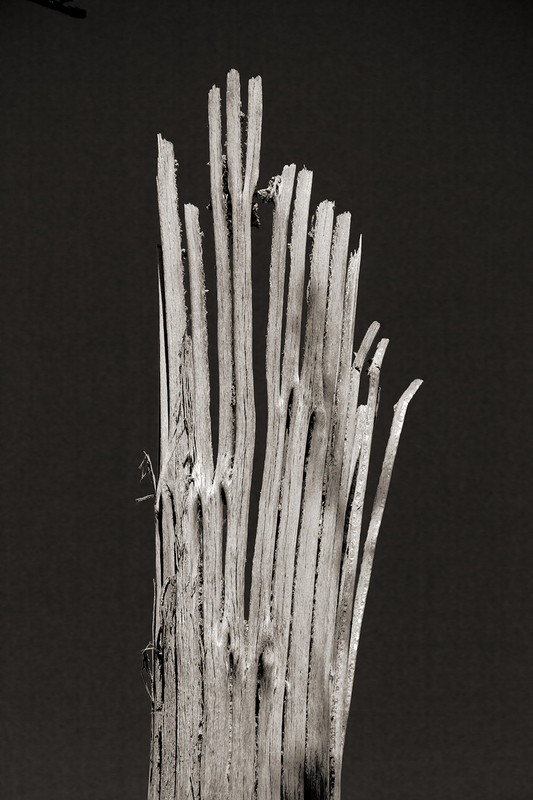 The skeletal remains of a towering Saguaro come to you from Saguaro National Park West near Tucson. It appeared while Peggy and our good friend, the noted painter Stephen Day, set-up for a day of plein air painting in the park. She’s always said the Sonoran Desert is her favorite of America’s great deserts. I'm conflicted. It's a definite maybe. Peggy is right. The Sonoran Desert is a magical, extraordinary place, particularly in the fall, winter, and spring. But in the summer, an average, unprepared human might find it hell on earth. I know there are desert rats whose bodies truly do relish extreme heat, but I cannot be counted in that group. Thank you for not only going all gooey on central and northern California, but also for bringing this cactus as a counterpoint. Each place has moments. It is rumored that T. E. Lawrence, when asked why he liked the desert of the MIddle East, answered "Because it is clean." The Sonoran Desert has that same feel. Are you sure that isn't me, first thing in the morning? Anyway, the Sonoran Desert definitely gets my vote. Our best to the Days if you're still in the area. That was several years ago, John. We need to connect soon. Best to you and Thea.